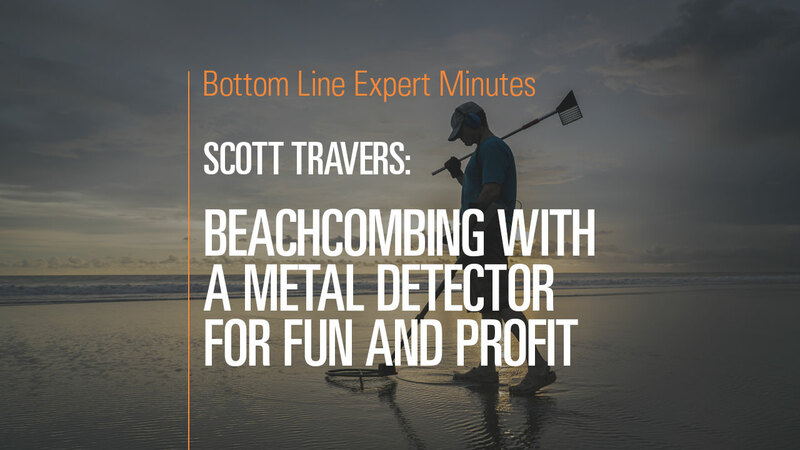 If you’ve ever spent any time at the beach, you likely have seen people crisscrossing the beach, metal detector in hand, in search of metals and other valuables. In this video, Scott Travers, gold and rare coin expert and author of The Insider’s Guide to US Coin Values, says that this can be a worthwhile hobby, but he also cautions that it requires commitment and luck. To increase your chances of finding metallic valuables, set the metal detector so that it is less responsive and will alert you only when you are near a larger metallic object. In this way, you can avoid wasting time digging up useless items such as bottle caps and soda cans.